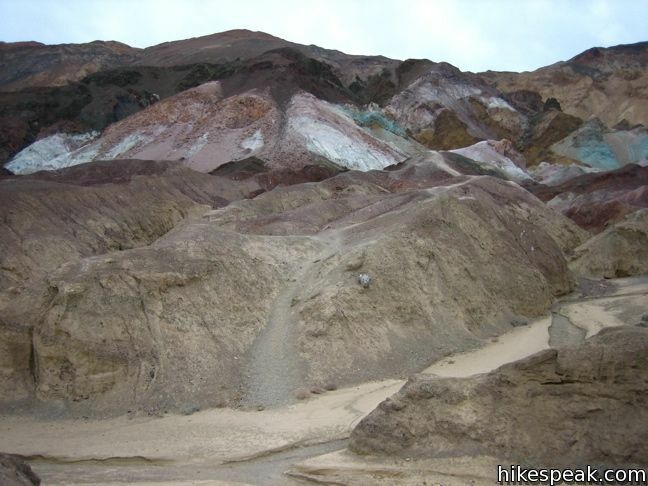 Artist’s Drive crosses a sloping mountainside composed of vibrant soil colored by rich metals. 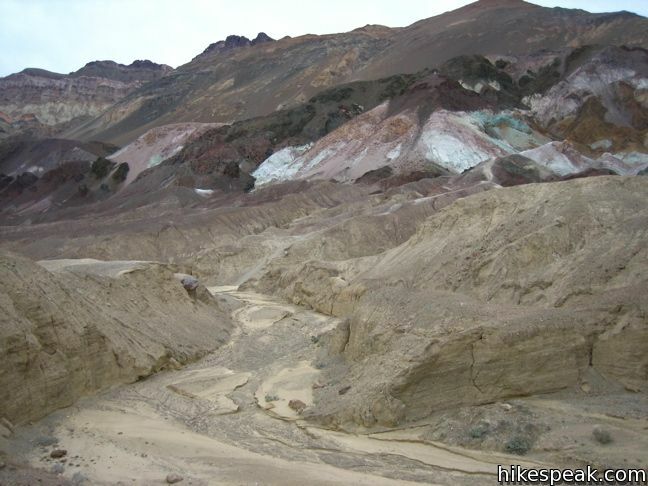 The drive passes an area dubbed the Artist’s Palette, which is among the unique landmarks in Death Valley National Park that must be seen to believe. Artist’s Drive is a one-way road traveling from south to north. 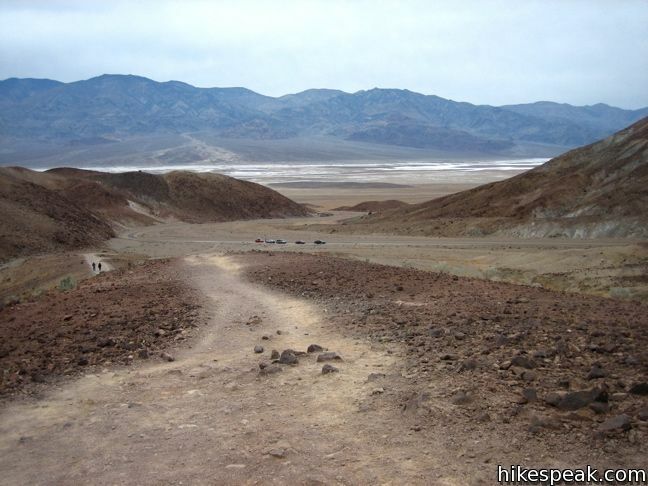 For those coming from Badwater Basin, this is an ideal side trek en route to Furnace Creek. 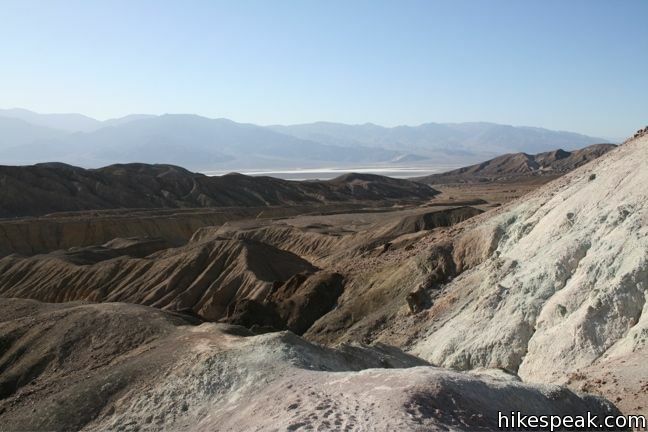 The 9-mile drive climbs above Badwater Road for an impressive perspective on the salt flat below. Turnouts allow visitors to get out of the car and have a look around. 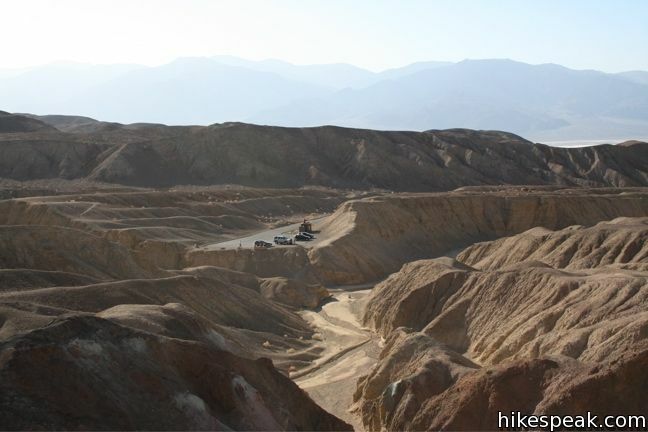 The first major turnoff provides a short uphill walk to an impressive overlook with wide views of the basin below. 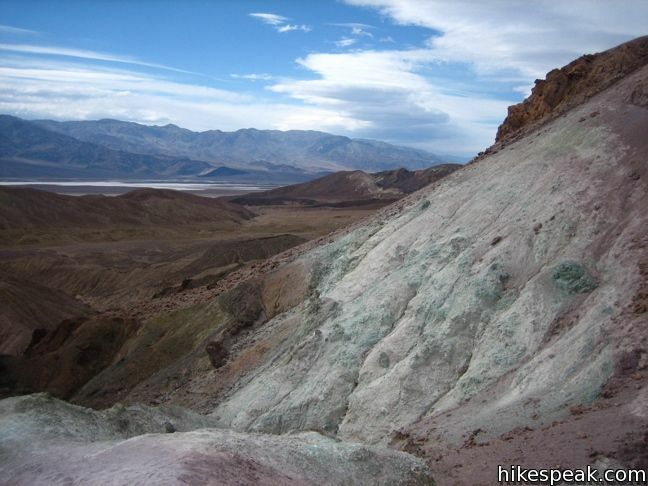 The main stop of the drive is Artist’s Palette. 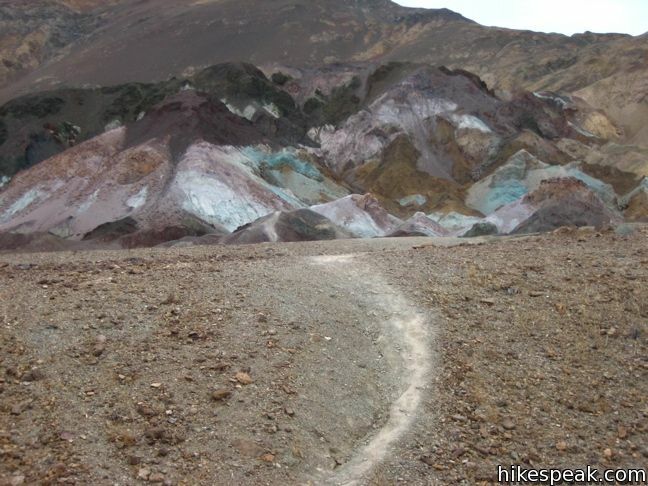 Turn off the drive and into the Artist’s Palette parking lot. 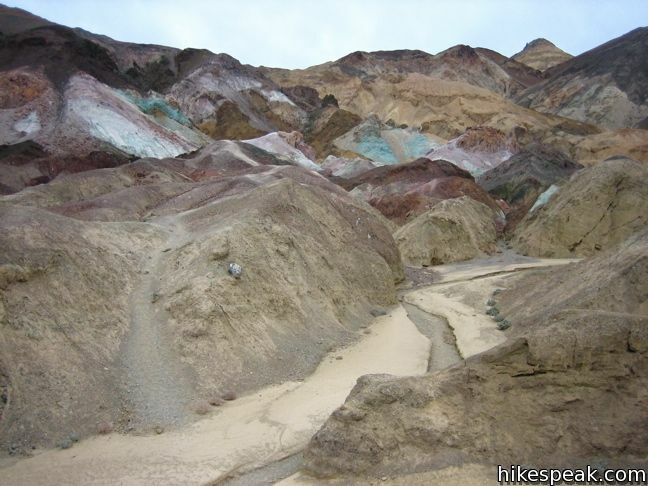 Steps from the lot lead down to a narrow wash. Cross the wash and make your way toward the colored mountainside. 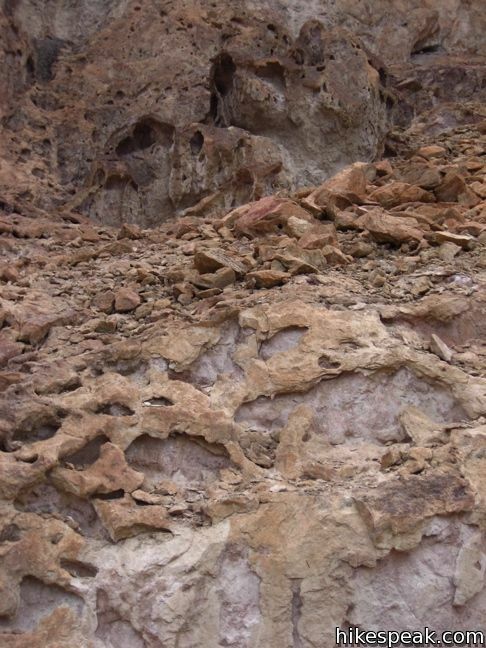 Various metals have oxidized the clay creating eye-popping reds, yellows, greens, blues, and purples. 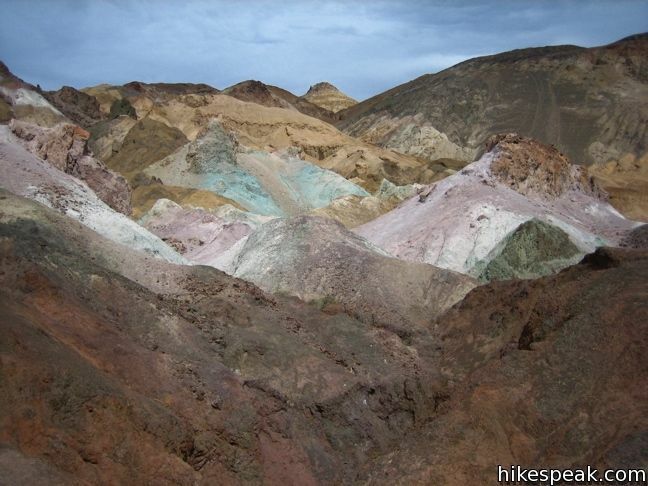 The rainbow bands that color the soil bare an obvious resemblance to a grand painters palette. 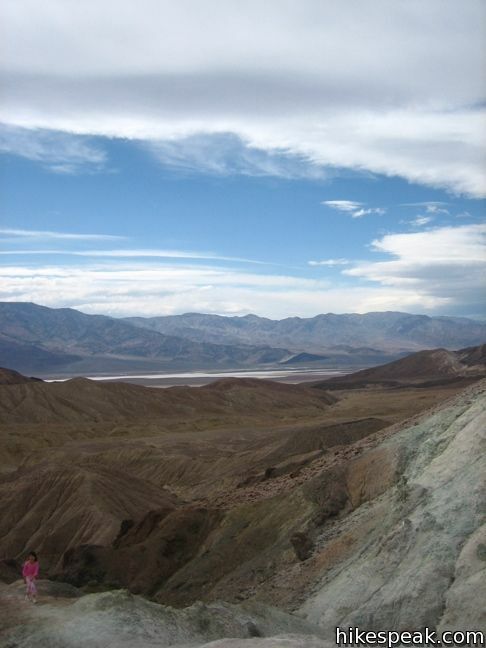 After enjoying the vivid landscape, take the Artist’s Drive to its termination on Badwater Road. 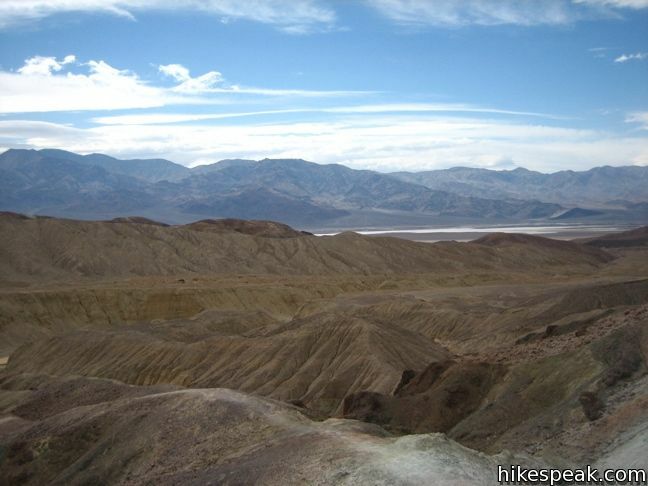 To get to Artist’s Drive: The turnoff for the start of Artist’s Drive is located nine miles south of Furnace Creek on Badwater Road. Vehicles over 25 feet long are prohibited on Artist’s Drive. These photos were taken in January of 2006, April of 2007, and November of 2009. Click to enlarge. 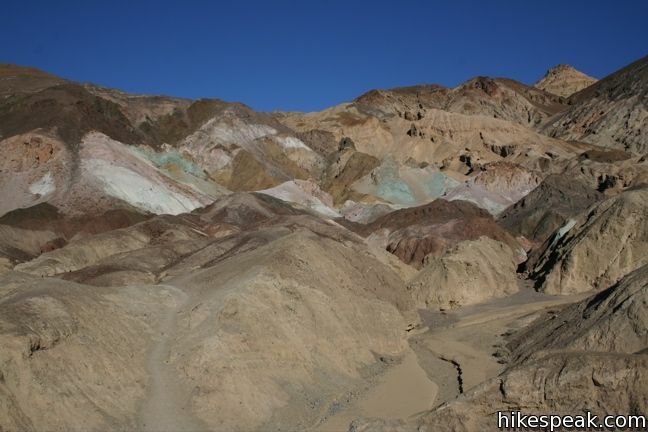 This 4-mile loop visits stunning terrain in the badlands region near Furnace Creek. 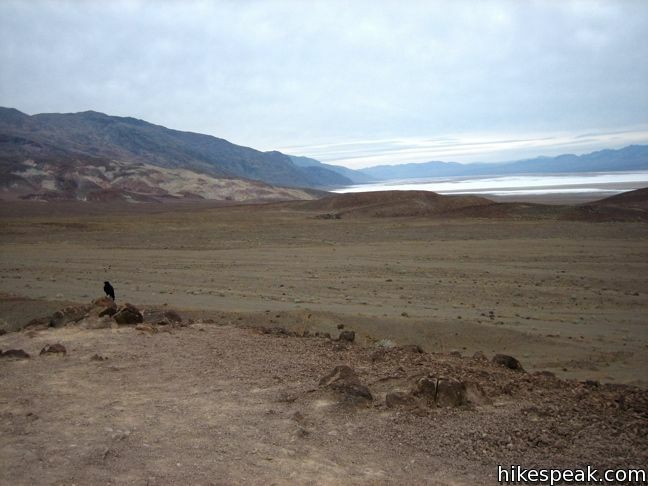 This is the lowest place in North America — a required stop for first time visitors to Death Valley. 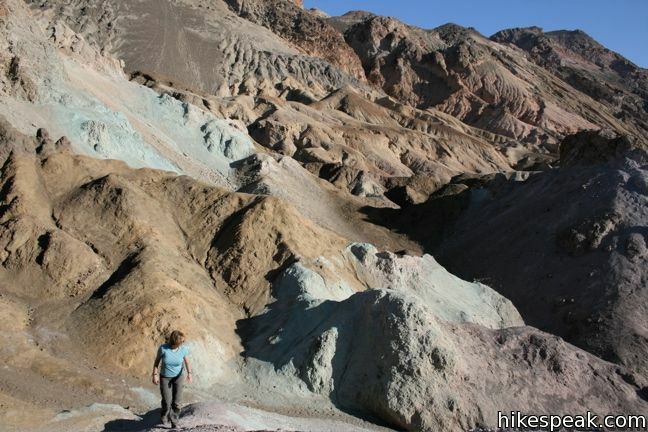 Explore more destinations in Death Valley National Park. Nine campgrounds are spread throughout this large park to facilitate your visit. 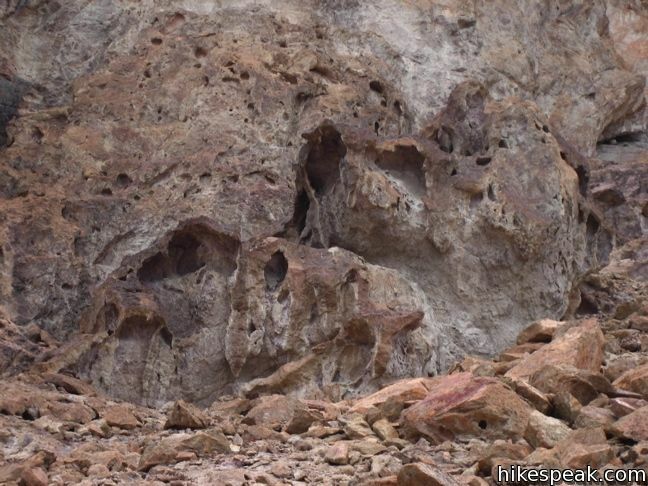 Exciting to see ancient sandieborax wagons remembered from old TV show, amazing hike to natural bridge and subtle in colors of artist drive. We loved turquoise trimmed ghost town with old opera house,wild burros & mustangs. Catch Texas sporting house next trip but we enjoyed Pahrump winery.